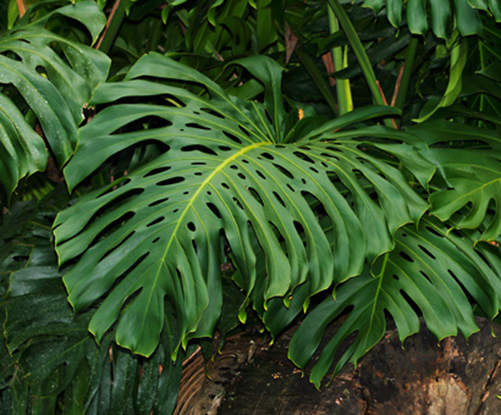 Monstera deliciosa is a species of flowering plant native to tropical rainforests of southern Mexico, south to Colombia. It has been introduced to many tropical areas, and has become a mildly invasive species in Hawaii. 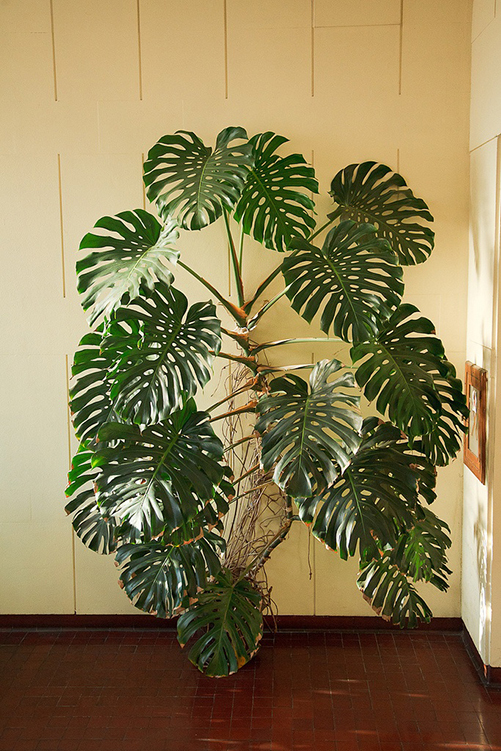 Monstera Deliciosa is a beautiful climber that loves humidity and bright light. 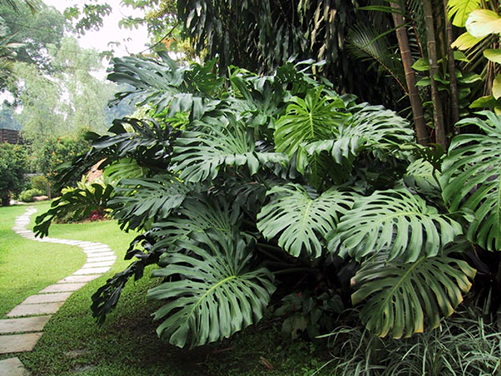 When young, the leaves are solid- if left to climb, the leaf form will morph to a massive size with curved serrated edges and “swiss cheese” holes throughout. This plant also makes a tasty edible fruit, thus the name “Deliciosa”. Fruit appears on mature climbers. Not fussy about cold, just give it something to climb and plenty of water, fertilizer and light. 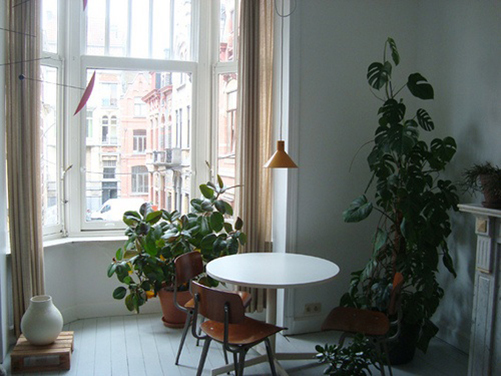 Also makes an excellent indoor houseplant near a sunny window.